Best Rideable Horse Toys for Kids of All Ages! We all know kids love riding toys! But they also love ride on horse toys! 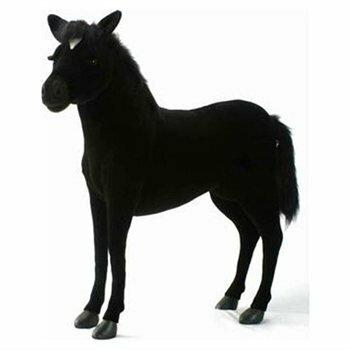 There are so many riding toy horses to choose from nowadays that I decided to create this page especially for them! My favorite horse toys to ride on nowadays are those you see on this picture! Kids ride them by bouncing up and down the saddle, just like in a real horse! So, who’s ready for a horse ride? Who wants to ride a very cute mechanical cowboy horse today? All he or she needs to do is to bounce on the saddle! As they start doing that, the horse’s wheels will start moving and going wherever your kid wants to go! 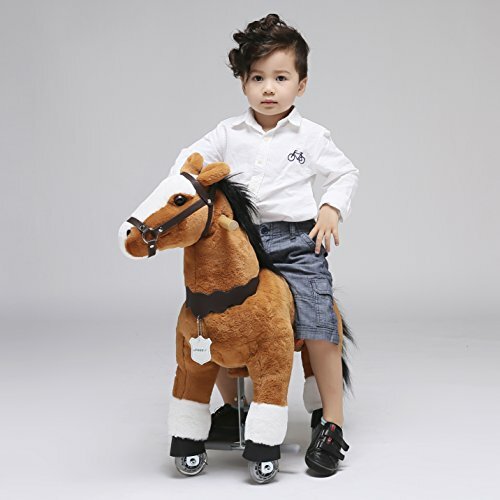 The first time kids ride this fun plush horse and realize they are ‘really riding’ it, their face light up and their eyes sparkle from excitement! Get your camera ready for this moment! One of the best horse toys to place under the Christmas tree this year! Now it’s time for the children to ride a cute plush black horse! They are going to go crazy! He is a medium size plush pony that will fit children ages 3 and 4 until about 9 to 10 years old! He moves the same way the white horse does. Kids bounce up and down while maneuvering the handlebars. How is fun that for the little ones? Is that the perfect horse gift idea for your first grandchild or what? 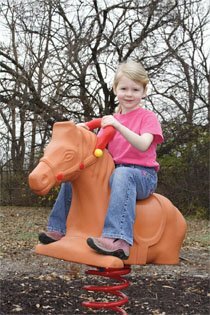 Look at this gorgeous caramel color plush horse toy to ride on! The best thing about these is that there’s no need for batteries! Kids use their legs and body to move them! Fun and exercise at the same time! 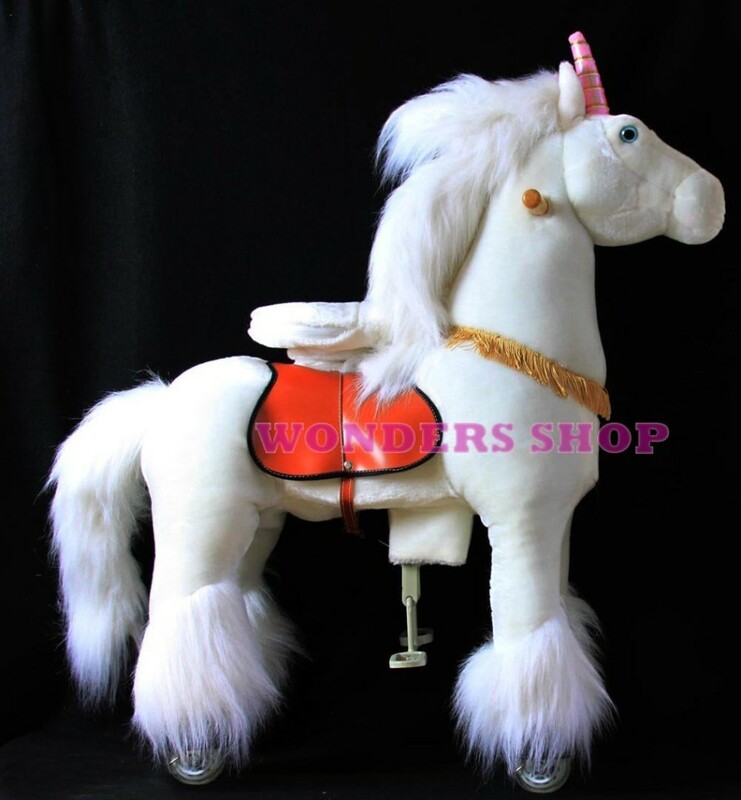 Gorgeous Sit-on Plush White Pony for Girls! I just found my favorite riding horse toy for girls! It is a gorgeous sit-on white toy pony! I bet you had never seen a cute riding unicorn toy before! How absolutely magical and adorable is it? The wheels are ultra-smooth and it is very easy for little girls to steer! It is the perfect size for a 2, 3 and 4 year old little girl! 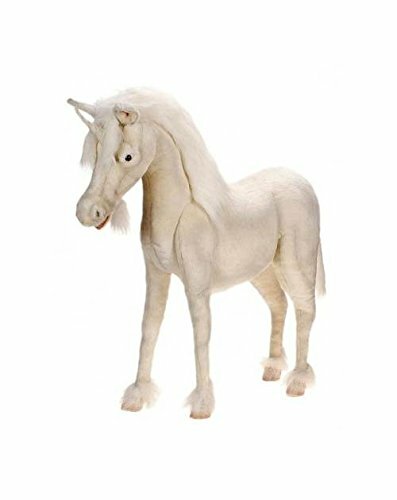 I had to show you this beautiful and very realistic white plush unicorn for sale! Can you imagine placing this in your little girl’s bedroom as a gift? The Most Fun Horse Toys to Ride On! Another ultra-FUN toy horse to ride on is a cool spring horse rider, of course! This is a gorgeous bright orange riding spring horse for sale! It fits kids ages 2 to about 5 years old. 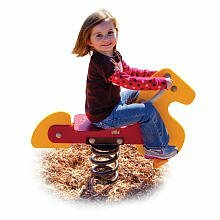 Awesome Outdoor Horse Spring Rider for Kids! 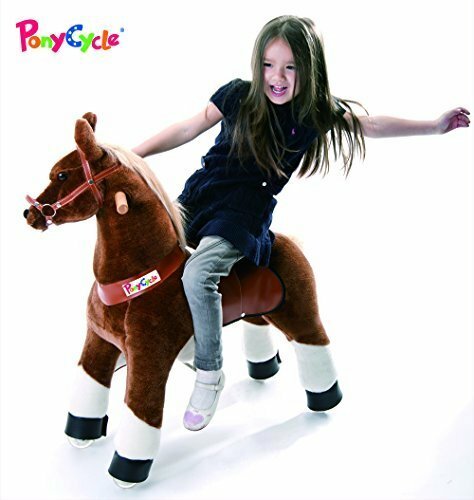 Another fun and very cool outdoor horse spring rider for kids 3, 4 and 5 years old! 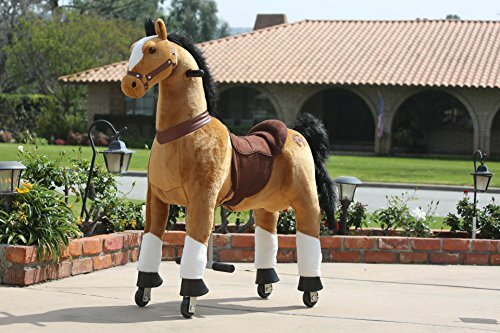 Perfect outdoor horse gift idea for children! Everybody loves the Hansa ride-on plush horses! 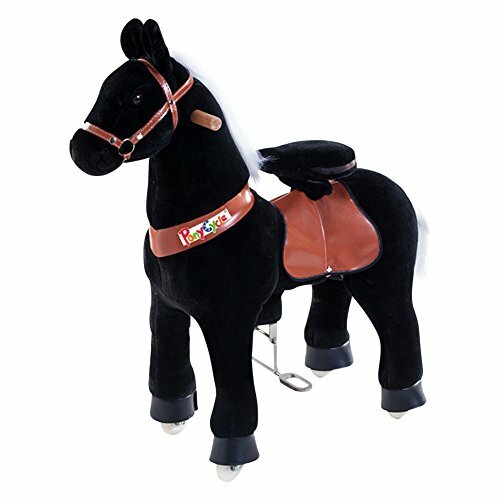 This is a gorgeous plush black horse for kids to ride on! It will look beautiful in their bedroom! 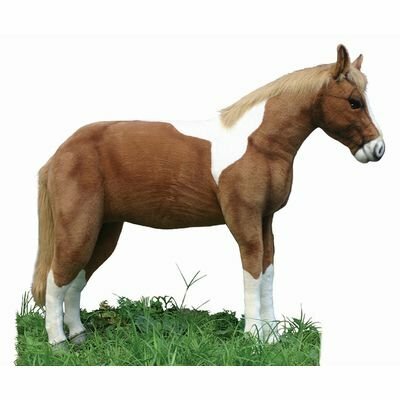 Gorgeous Life Sized Standing Stuffed Brown and White Horse! This is the most beautiful ride on stuffed pony for kids I’ve ever seen! Look at those mellow ‘pony eyes’ of his! He is so very lovable! 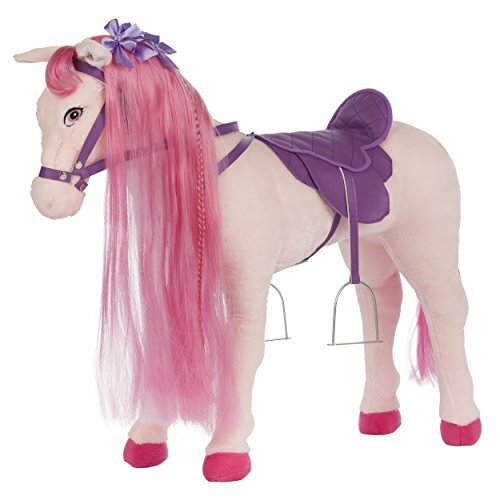 If your child loves ponies, then I definitely recommend you get him or her this cute Hansa pony! Children ages 3 and over can ride him! He is 51 inches tall and can take up to 150 lbs on his back! Of course, wooden horse rockers are still a classic toy horse for kids! This is a gorgeous hand-crafted wood rocking horse made from solid pine! It fits toddlers and as young as 18 months old and up! Great first birthday horse gift idea! 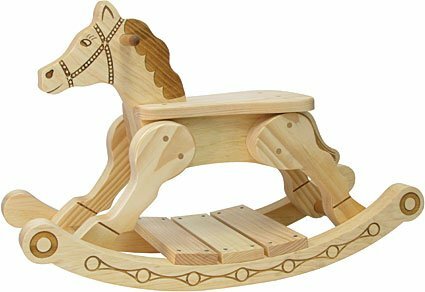 What parents love most about these wooden horse rockers is that they are very durable and can be passed down to siblings and even grandchildren one day! 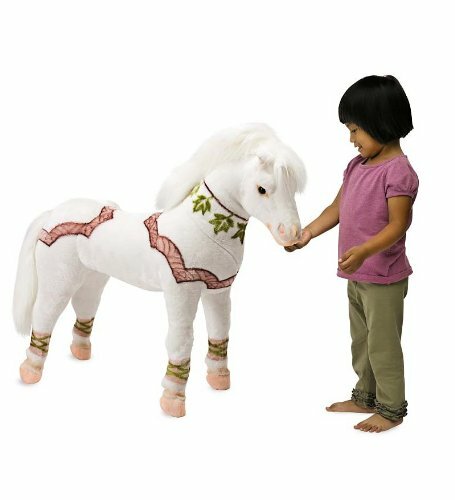 Cutest Rideable Toy Pony for Kids! And I will end my selections of fun rideable horse toys for kids today with this adorable pink toy horse to ride on! It is very affordable and absolutely perfect for kids ages 1 to about 5 years old! If you were looking for a cool and unique toy to give your grandchild next Christmas, look no further! It’s going to be a huge hit! *I hope you had a good time here today choosing a fun riding toy horse for your kid!